Release Date: ‘13th’ March 2018. Three years after Oslo based Slagr released their critically acclaimed third album Short Stories, the talented trio return with the followup DIRR which will be released by Hubro Music on the ‘13th’ March 2018, and is another album of meditative music that is quintessentially Nordic. That has been the case throughout Slagr’s fifteen year career. Slagr was founded in Oslo, Norway, in 2003, and originally the group featured cellist Sigrun Eng, vibraphonist Amund Sjølie Sveen and Anne Hytta who played Hardanger Fiddle. Four years later, this was the lineup of Slagr that played on their debut Solaris, which was released to plaudits and praise in 2007. Solaris featured music that was unmistakably Nordic, which would become Slagr’s trademark sound over the next decade. Buoyed by the critical acclaim and success of their first two albums, Norwegian jazz pianist Andreas Ulvo asked Slagr to collaborate with them on an album. It was recorded at isitArt studio between May ‘2nd’ and ‘3rd’ 2012, and six months later, Softspeaker was released on the ‘2nd’ of November. Softspeaker which was a beautiful, enchanting album that won over critics, who were impressed by Slagr’s first collaboration. By the time Softspeaker was released, Slagr had already collaborated on album with the hugely talented Camilla Granlien. They had recorded Songs By Geirr Tveitt at Rainbow Studios, in Oslo, during August and September 2012. Then just four months after Slagr had released their first collaboration Softspeaker, they returned on the ‘1st’ of February 2013 with Songs By Geirr Tveitt. The collaboration with Camilla Granlien was breathtakingly beautiful and found favour with critics who hailed the album a resounding success. After releasing two successful collaborations, Slagr’s thoughts turned to the group’s third studio album Short Stories, which was recorded in Hoff church in Østre Toten, Norway, during December 2013. Sadly, this was the last recording to feature one of the members of Slagr. In the autumn of 2014 cellist Sigrun Eng left Slagr, and was replaced by Katrine Schiott. This was the first change in Slagr’s lineup in eleven years. However, it would nearly two-and-a-half years before Katrine Schiott made her recording debut with Slagr. Before that, Slagr released their third album Short Stories on the ‘24th’ of April 2015. Critics called Short Stories Slagr’s finest album as they continued to paint pictures with quintessentially Nordic music. After the release of Short Stories, Slagr’s popularity continued to grow, and in 2015, they became an award-winning group. In 2015, the shortlists for the various Spellemannprisen awards were published and Slagr’s third album had been nominated for best album in the open category. This was a huge honour, as a Spellemannprisen is the Norwegian equivalent of the Grammy Award. Given the quality of Short Stories, Slagr must have known that they were in with a good chance of winning the award. They were taking nothing for granted as there were several albums in contention for this prestigious award. However, it was Slagr who triumphed and Short Stories won the Spellemannprisen for the best album in the open category. This was a huge honour for Slagr whose star was in the ascendancy and critics and music fans eagerly awaited their fourth album which would mark the debut of new cellist Katrine Schiott. After the critical acclaim and commercial success of their previous album Short Stories, Slagr had a lot to live up to, when they began work on their fourth album DIRR. Eventually, Anne Hytta and the other two members of Slagr had written the eight tracks that would become their much-anticipated fourth album DIRR. For the recording of DIRR, Slagr headed to Sofienberg Kirke, in Oslo, a Gothic styled church that was built in 1877, and can seat 600 worshippers. It also has wonderful acoustics and the wintery sun shawn through the beautiful stained glass windows as the recording began on the ‘27th’ of February 2017. 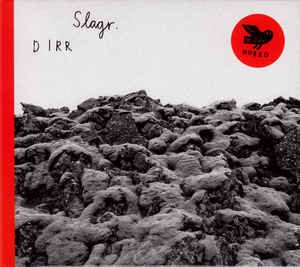 This time, Slagr had decided to produce DIRR themselves, which was a landmark album. DIRR was the first album that Slagr had recorded since cellist Sigrun Eng had left the group in the autumn of 2014. Her replacement was cellist Katrine Schiott who was about to make her debut with Slagr. Katrine Schiott knew that Sigrun Eng had played a hugely important part in the sound and success of Slagr’s previous albums, but was ready to play her part in what was new chapter in the Slagr story. At the Sofienberg Kirke, recordists Andreas Mjøs and Espen Høydalsvik were preparing to record Slagr’s fourth album DIRR. While the personnel had changed, the instruments hadn’t as Anne Hytta played Hardanger Fiddle and joined by new cellist Katrine Schiott and vibraphonist Amund Sjølie Sveen who also played tuned glasses. The trio spent just two days recording DIRR, which was competed on the ‘28th’ of February 2017. With DIRR recorded, Slagr asked Andreas Mjøs of Jaga Jazzist to mix their fourth album, which was then mastered by Morgan Nicolaysen at Propeller Mastering in Oslo. He was the perfect person to master DIRR, as he was a trumpeter with a background in classical music and acoustic jazz. Morgan Nicolaysen was sure to master DIRR in such a way that it brought out the best in Slagr’s much-anticipated fourth album. Once DIRR was mastered, the final piece of the jigsaw was the album cover which featured a thought-provoking photograph by Slagr’s vibraphonist Amund Sjølie Sveen. That photograph adorns DIRR which was released by Hubro Music on the ‘6th’ of April 2018 and marks the welcome return of Slagr. Atmospheric, minimalist, spacious and cinematic describes the introduction to Aur opens DIRR as gusts of winds blow and a creaking sound accompanies the wistful, mesmeric sounding cello flits in and out. It disappears, but quickly reappears as the Hardanger Fiddle plays in a wistful, ruminative and almost sinister cinematic sounding track that asks a series of questions and sounds as if belongs on the soundtrack to a Win Wenders’ film. Straight away, the Hardanger Fiddle plays on Strimesong and is soon joined by the cello, and together add a sense of sadness and melancholy to a soundscape that is unmistakable is unmistakably Nordic sounding. It’s also full of breathtaking beauty and emotion and is guaranteed to tug at the heartstrings as it paints pictures in the mind’s eye. There’s an urgency to Flimmer as it almost races along, like a Nordic Trans Europe Express for the ‘21st’ Century as the track is propelled along. By then, it’s as if the listener is travelling through the Norwegian countryside witnessing the beauty, flora and fauna that flashes part. However, the introduction of the strings adds a sense of drama, and suddenly, Slagr seem to be creating the soundtrack to a Jo Nesbø crime novel. Later, as the drama subsides there’s a sense of sadness as if reflecting a script that has yet to be written. Soon, though, the drama returns with less than a minute to go and it seems that Slagr have solved the mystery of what went on during Flimmer, which is a cinematic and rich in imagery? As Hel unfolds, Hardanger Fiddle and cello enter, and take centre-stage, droning as the arrangement builds. So too does the tension, as the strings become shrill, before softening and becoming an emotional roller coaster. By then, the music is beautiful but there’s a sense of sadness and melancholia as the music becomes cinematic. Suddenly, the music is rich in imagery and the listener can’t help let their imagination run wild. Meanwhile, a drone accompanies the breathtakingly beautiful sound of Anne Hytta’s Hardanger Fiddle as it paints pictures of barren landscapes far away from the madding crowds. Soon, there’s a sense of sadness and wistfulness as drones grow in power and combined with tuned glasses as tension builds. Again, the listener can’t help but let their imagination run wild in another cinematic track,which is full of beauty, sadness and even melancholia and drama and tension. Shimmering, glistening vibes open Varle and add a sense of hope before a dark cello provides a contrast and wistfulness. Later, the vibes briefly drop out, but soon returns and coexist with the wistful, rueful and sometimes almost urgent and dissonant sound of cello. Then when the vibes take centre-stage the soundscape is transformed before the dark, broody cello returns and add to the sense of sadness. So does the Hardanger Fiddle which reinforces the sadness while its beautiful sound adds the finishing touch to this emotional roller coaster. Understated and atmospheric describes the minimalist introduction to Eir as tuned glass shimmer and drone as subtle quivering strings sweep in and out. The spaces they leave are filled by the almost sinister sound of the tuned glasses. Gradually, the strings grow in power, droning and wheezing before the soundscape dissipates leaving the listener to reflect and ruminate on powerful piece of music. Again, vibes shimmer as they’re played slowly and ominously on September and the rueful cello plays. Together, they create a soundscape that brings to mind the arrival of autumn and the thought of the long cold, dark winter months that lie ahead in Norway. When the Hardanger Fiddle enters, it adds to the beauty of a soundscape that is rich in imagery, as once again, Slagr put their sonic palette to good use. So much so, that September is one of their finest moments on DIRR, as they conjure up images of autumn leaves falling on frosty fields as the nights lengthen and smell of log fires drifts across the Nordic night sky. Øyr closes DIRR, and straight away, otherworldly siren strings join a distant rustling, rumbling sound before the Hardanger Fiddle enters but pauses, which adds an element of drama. This trick is repeated and proves effective as Slagr combine drama on an innovative track where they variously play with invention, freedom and fluidity to create a dramatic, melodic and captivating genre-melting track. It’s the perfect way for Slagr to close their much-anticipated fourth album DIRR. After three years away, Slagr return with their fourth album DIRR, which has just been released by Hubro Music, and is the first to feature cellist Katrine Schiott. She has settled into her new role, and plays her part in the sound and success of DIRR which marks the start pot a new chapter in the Slagr story. What better way to start than with DIRR, an album that is cinematic and rich in imagery as Slagr paint pictures with their sonic palette. They take the listener on a series of journeys, and other times, encourage the listener to let their imagination run riot. As they do, the music veers between atmospheric to dramatic and gothic to broody, moody and dark and sometimes hopeful. However, for much of the time, the music on DIRR is beautiful and emotive and tugs at the listener’s heartstrings. Sometimes, there’s a sense of sadness that even becomes melancholy as the music becomes an emotional roller coaster. Other times, Slagr the listener to reflect and ruminate music that is powerful and poignant. Always, though, the music on DIRR has the Nordic sound that has been omnipresent on Slagr’s previous albums. This is what listeners have come to expect from Slagr, who don’t disappoint on DIRR. Far from, and they return with a genre-melting album where Slagr combine elements of ambient, avant-garde, folk, modern classical and Nordic Wave to create a fitting followup to Short Stories which won a Spellemannprisen in 2015. Three years later, and Slagr must be hoping that their cinematic opus DIRR, which is atmospheric, rich in imagery and an emotional roller coaster will bring them their second Spellemannprisen. ← MARTIN FREEMAN AND EDDIE PILLER PRESENT JAZZ ON THE CORNER.